Since Simmons’ ascension, his replacement as sales director for Oceania, Rod Bassi, said the key has been the company’s renewed focus on the Australian channel, and it has already pulled in some big wins. Acer revealed to ARN that it has also just picked up the contract for Victoria’s police force, providing 12,500 devices, including 1000 laptops. It already provides hardware and support to the South Australian and Tasmanian police forces. Further details will be made available shortly. Already in 2014 it has won a major joint-tender contract from a consortium of Victoria, Queensland and New South Wales’ Electoral Commissions, that will see the company provide 5100 tablets for vote counting purposes at each state’s forthcoming elections. All of these Acer branded devices will run Android, and deployment begins shortly. “Traditionally if you look at those spaces they use enterprise software, such as Windows 8, so using Android is quite unusual,” Simmons said. As part of Woolworth’s new move to the Cloud, Acer also won the contract to provide the supermarket giant with 5000 of its Chromebooks. “The year is so young, and already we have these two sizable wins for Acer, and with a non-traditional OS. It’s a sign of how the market is changing,” said Bassi. Simmons told ARN that part of the company’s key value add offering has been its local assembly workforce base. 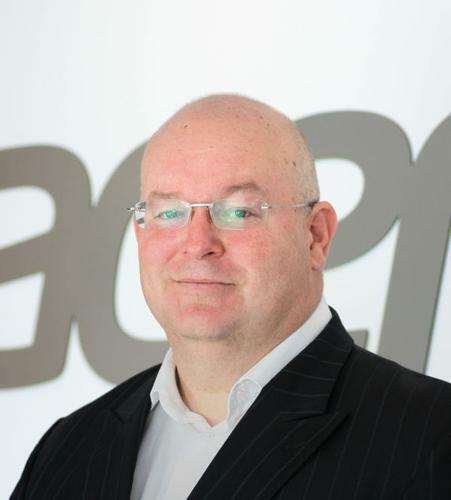 While almost every device manufacturer has deserted Australian shores, Acer still assembles computers in Australia – which he believes gives the company a key supply chain advantage, not just in terms of speed of delivery, but in terms of maintenance and customisation - and security. It means that each laptop can be assembled, certified, individualised and licensed in Australia, not only providing jobs but catering to the local educational sector’s needs. It helped the company pull in a recent contract with AB Paterson College in Queensland for 1100 Windows 8 devices. With short turnarounds, such as school holiday requirements, Acer’s quick delivery time was a factor. The onshore advantage has helped the company pull in several key government contracts, especially in Canberra. When dealing with police forces and government departments, Simmons said that its onshore presence has rapidly become a key advantage for the company - especially in the wake of the NSA and other governments’ spying - which has seen a fear of sensitive data heading offshore. He told ARN the disties were happy with the company’s refined direction, and he is looking to work with resellers to push the company in a more managed services direction, eventually, which means even tighter relationships with its partners, trying to provide horizontal and vertical solutions integration. “We are keen to engage the channel, and we are renewing our focus on SMBs, SMEs, education, retail and corporate clients. We are a channel first organisation, because that’s the way we’ve always been, even if we have been a bit quiet over the last 12 months,” said Simmons. Simmons also said the company’s restructuring, which also bogged the company down over the last nine months is over – and there would be no further staff cuts of any kind. It has already renewed a lapsed agreement with Harvey Norman to sell its devices at retail (Acer hasn’t appeared on its shelves for 18 months), and Simmons wants to see the company reclaim its top three spot as a PC vendor in Australia.